Remember flare jeans?? Well, they are back. Skinny jeans still prevail, but the flares are trending, too. Honestly, I am loving the return of flares. They are SO flattering! Flares pair well with so many tops and look amazing with pumps or heeled booties. I recently bought these Chaps flares at Kohl's on a sale rack. They are the PERFECT fit. I would have featured flares before now, but I just couldn't find the right pair. These are slightly high waisted and the perfect length for me (I'm 5'4"). Here is a very similar pair (medium yellow tint) at Kohl's for only $19.99. This animal print Essential Turtleneck is also from Kohl's. It comes in several colors and is on sale for $17.99. Plus, when you shop with Kohl's coupons, it will be even lower! It is very thin material (and soft!) which makes it great for layering. I also love the gathered sleeve at the wrists! I have my eye on a few other colors too, like the purple henna. This monogram necklace is from Benevolent Jewels, and it is just beautiful. I have featured it before on the blog, but it's worth talking about again! The size is perfect and it goes with just about everything. Check out their site; I love their products. What do you think about the return of flares?? Proverbs 16:3, "Commit to the Lord whatever you do, and He will establish your plans." I'll admit it... I really miss flare jeans! I love the style! I really like the distressing in the pocket area. I have always loved flares, glad I kept my favorites so I can pull them back out lol! I still have a few old ones too! They are super flattering. Very cute and that top is super cute!! I love that flares are trending, but I bought a couple of pairs, and now I find myself still gravitating to skinnies. They just seem easier. I really need to force myself to wear the flares more b/c I do love how they look! I know...skinnies do seem easier. Flares are SO flattering though! Thanks for the jewelry idea! I never know what to do with this type of shirt! I know skinny jeans are all the raves, but there is definitely something nice about a pair of flare jeans. I'm loving the flare jean trend! I love them styled with the leopard top and heels! Such a chic look! 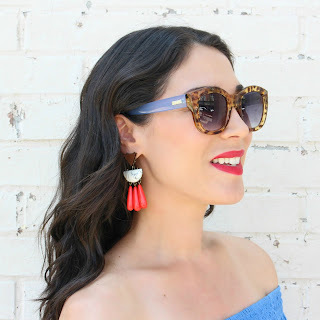 Please stop by tomorrow and linkup with Thursday Fashion Files!